If you love to karaoke your heart out but haven’t consumed enough alcohol to keep your knees from knocking on stage, have no fear! 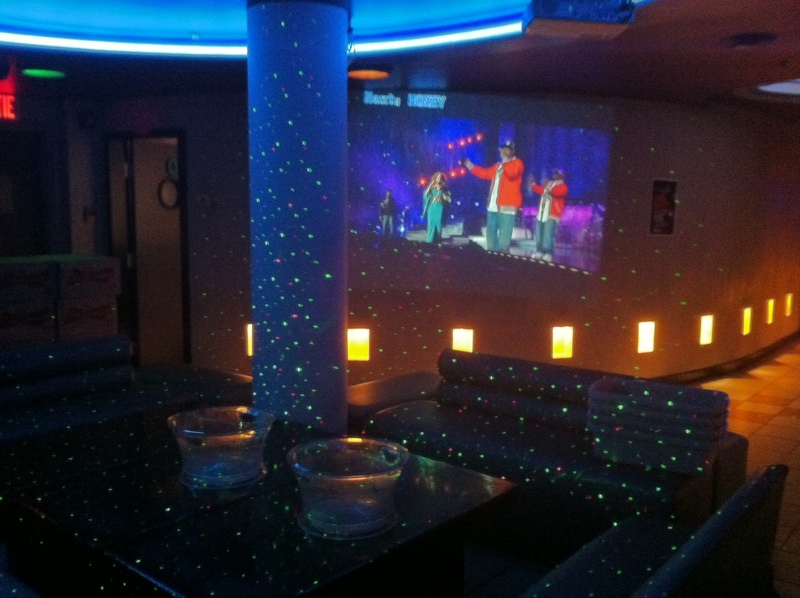 CEO KTV Lounge offers a fine selection of private party rooms for groups of any size. Located in one of the more well-hidden nooks of Chinatown, CEO is below the famous Ruby Rouge restaurant, in a basement veritably riddled with karaoke caves. It might be easy to miss, but if you’re in the know of where to look, then you’re in for a treat. Descending into the open lounge, a fine selection of liquor catches the eye, as do the multiple wall-sized projections of karaoke videos to get newcomers in the singing mood. The couches are arranged in a square, intimate and comfortable, and are excellent for those who just want to drop in spontaneously when out with a couple of friends. Where CEO KTV really hits their stride, however, is with their private rooms. While the small ones are cozy and can squeeze in six to ten people, the largest can easily accommodate more than thirty, if not forty. After talking to the staff about what makes a night here particularly memorable, they answered that hands down, it’s the friendly atmosphere. “Customers always come here and feel they know the rest of the rooms by the night,” said one employee with enthusiasm, explaining how the parties seem to always end up merging together. So for those who are social butterflies, this is the place to meet strangers and enjoy a quality glass of wine, whisky, or sake! Except for soft drinks and beer, which are fairly standard prices, drinks are sold by the bottle. Wine ranges from $45 to $65, while hard liquor can range between $120 to $180. Renting rooms goes according to how much the final tab comes to. The small rooms are free if over $100 is spent on alcohol. The bigger rooms can go as high as $500. Although, keep in mind this is the total cost divided among possibly over thirty people. Hope is not lost though. Students get a happy hour discount between 6 p.m. and midnight on weekdays and 6 p.m. to 11 p.m. on weekends, which is the very decent cover charge of $10 including a drink. The staff advises big groups to make reservations on weekends, but welcomes spur-of-the-moment drop-ins during the week. The kitchen offers a very basic selection of instant noodles, pork dumplings, dried squid, and chips. It’s recommended to eat beforehand, particularly if over $100 will be spent on drinks that night. With that said, Chinatown is literally on the doorstep, so it’s easy to run out for a midnight snack. The song listings themselves are displayed on impressively new touch screen computers and are easiest to search through by artists. There are selections in English, Japanese, Korean, Mandarin, Cantonese, and Vietnamese. Check out their Halloween spirit this week for their seasonal decorations and costumes! CEO KTV Lounge is located on 1008 Clark St.